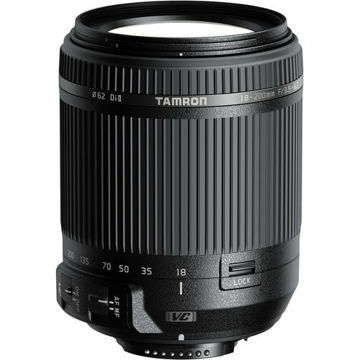 The black Tamron 18-200mm f/3.5-6.3 Di III VC Lens is an EF-M mount lens. 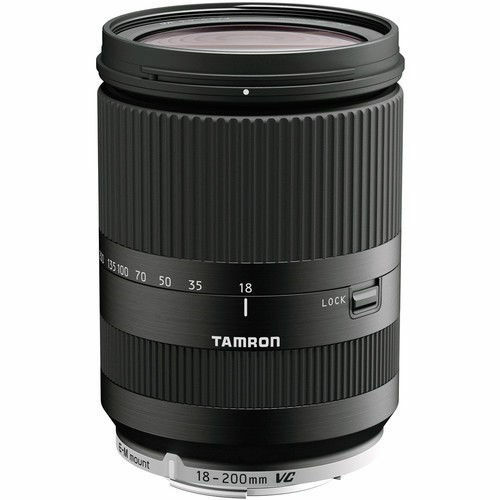 It provides a 35mm equivalent focal length of 29-320mm giving it a versatile wide-angle to telephoto range. The lens features internal focus, and built-in Vibration Compensation image stabilization, which reduces the appearance of camera shake. The VC is especially useful when shooting at slower shutter speeds or longer zoom lengths. The stepping-motor AF drive delivers fast and accurate autofocus. 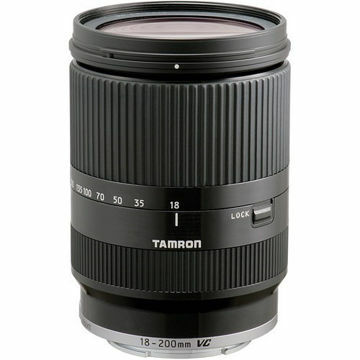 The lens is made up of seventeen elements in thirteen groups, including aspherical, low-dispersion, and XR elements to minimize aberrations, distortion, and lens size. 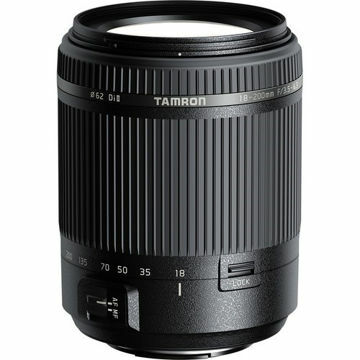 It also features macro-like capabilities, with a minimum focus distance of 19.7" at 200mm, and a magnification ratio of 1:3.7. Included with the lens are front and rear lens caps, as well as a petal-shaped lens hood.